Owing to the years of industrial experience, we have been able to provide our valued clients with a wide range of PVC Virgin D-Joint. We are well associated with PP pipe fitting products since 25 years. Company is established in 2010 in Ahmedabad , Gujarat. Ahmedabad is a plastic hub in India . We have firmly positioned our selves as a reliable manufacturer ,whole seller, supplier and traders of exclusive range of Agriculture and irrigation product. Our product range includes Adhesives like PVC, UPVC, C PVC SOLVENT CEMENT,PVC D JOINT,P.P. 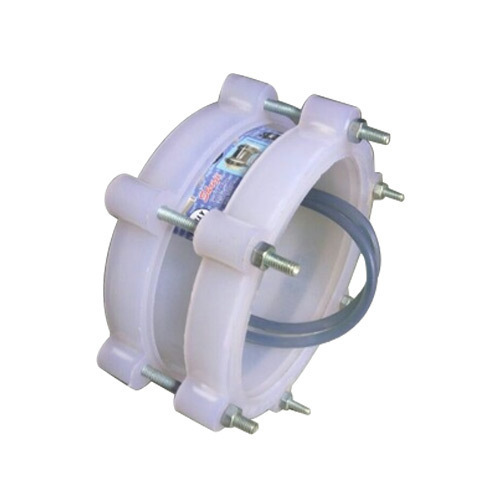 FOOT VALVE,FLANGES ,AIR VALVE MEL-SET and other product suitable for agriculture plastic product Our economical and quality products are highly durable and offer long service life & optimum performance. Our team is highly professional , qualified and trained people to deliver best quality product. We "SHRIJI ENTERPRISE" was established in year 2010, We are one of the leading manufacturer, supplier & traders of Agriculture & Irrigation article. Plastic products are manufacture at our state of art infrastructure facility using qualities raw material. We are manufacturing the product under the supervision of highly skilled industrial experts . The employment of latest technology in production process enable a speedy and efficient production Our products comply with industry quality standard and specification at budget friendly price. Our top most infrastructure facility is at par with the best facility in the country. The high production capacity of our machine tested for their quality by professional auditor. Supervise the quality of the product at each & every stage of manufacturing process to ensure that they are defect free product. Under the leadership of our mentor Mr. Bharatbhai shah and Jaimin shah .We have got edge over other market players.Mr. jaimin has a dynamic personality ,having very good exposer in marketing.